As one of the most luxurious stretches of coastline in Italy, it’s easy to see why it’s become such a successfully popular holiday destination. If you’re seeking great weather, numerous attractions, natural sights and great food then this is the destination for you! 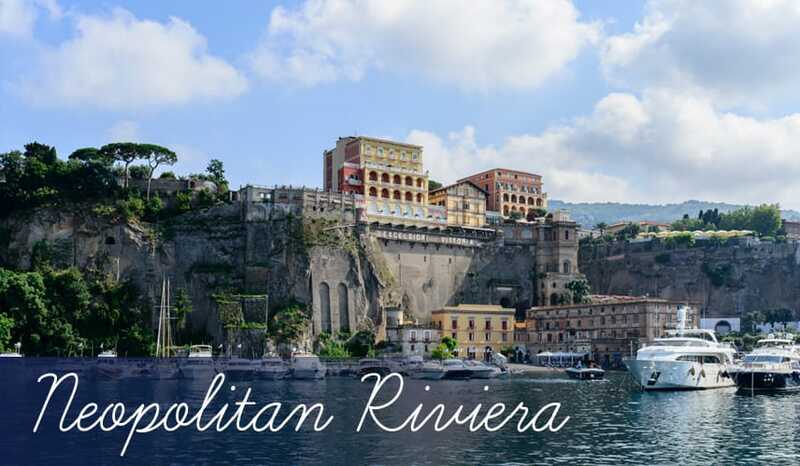 The Riviera includes a selection of fantastic destinations where you can spend the day. The largest is the city of Naples, which boasts an excellent waterside location, like many major cities do and offers a superb selection of attractions. These include the awe inspiring Castel Nuovo, a huge Medieval castle that stands proud above the city and is home to the city’s main museum. You won’t be able to miss it, as it really is that big and if you want some of the best views of the city, climb to the top and don’t forget to bring your camera! Also nearby is the Museo Archeologico Nazionale, which is the world’s biggest Roman architectural museum. There are also many more places to visit and make sure you try some of the local food during your time here. To the south across the Naples Bay is the picturesque town of Sorrento, which can be easily reached from Naples thanks to the convenient rail system. This cliff top town is perfectly place giving you beautiful views across the water and you will surely appreciate the gorgeous architecture. The attractions here include the local art gallery, Roman ruins and a nature reserve. It’s also very close to the popular ruins of Pompeii, which are a must see for anyone visiting the Neapolitan Riviera. A holiday here wouldn’t be complete without sampling some of the delicious food and with an impressive selection of restaurants, you will never be far from freshly made dishes. After you’ve toured some of these fine eateries, why not take one of the stunning coastal walks or relax by taking a boat trip across the bay. If you’re concerned most of all about what the weather will be like, don’t worry, as the Neapolitan Riviera weather is sizzling during the summer months and quite mild across the winter. If you want to experience the best temperatures then of course the summer will be the best time to visit, usually from April to October, which will see the average temperature range between 20 degrees Celsius and 28 degrees Celsius. This should be plenty high enough to satisfy even the most dedicated sun worshipper but be aware if you visit any mountainous areas, the temperature will most likely decrease as you increase altitude. We’ve outlined what there is to see and do in and around the resorts of the Neapolitan Riviera. Check each one out below and discover which one you would prefer to visit on your next holiday.